In 2009, the 315-mile long Hudson River, which flows north to south through New York State, became recognized all over the world when a U.S. Airways pilot managed to land his stricken plane right into it. Forming an official boundary between New York and New Jersey, this river has a very interesting history, especially the origin of its name. 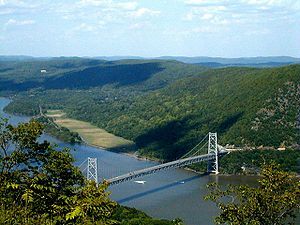 Before the 16th century, when only Native American tribes inhabited what is now the USA, the Hudson River was called Mahicantuck, which means "the river that flows two ways." This name was from a Native American tribe called the Lenape, who populated the area around the lowest part of the Hudson River. The first European to see the river Mahicantuck was the Italian explorer Giovanni da Verrazzano. In 1524, in the service of the French Crown, he was the first sailor to view New York Harbor, though he did not leave the harbor to explore the Hudson River at that time. Later in 1609, the harbor and the Hudson River were discovered again. 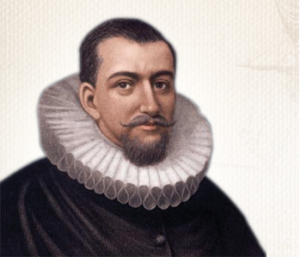 Just like many other great discoveries, it happened by accident by an Englishman named Henry Hudson, who was hired by the Dutch East India Company to look for a passage to China. Sailing on his ship the Half Moon he reached the Upper Bay of New York Harbor—not China. Clashing with the native inhabitants, the crew sailed north and spent a lot of time exploring the river. First they called it Rio de Montaigne (River of Mountains) and later it simply became North River. Enjoying the breathtaking beauty of the Hudson River Valley today, it is hard to imagine its first explorers believed it to be very dangerous. The area was viewed as treacherous, with a lot of wild animals and poisonous snakes. Up on the hills the wind was especially strong, making it very difficult to sail. The early sailors even called the River, "World's End" and "Devil's Horse Race". Although Henry Hudson failed to accomplish his primary mission and find the quickest passage to Asia, he always will be remembered as a great navigator, and the river was officially named after him in the mid-1600s.